In 1930 the Division of Commerce and Industry merged with the Division of Public Relations, an office that had previously functioned within the Department of Conservation and Development as a quasi chamber of commerce for the state. The Division of Commerce and Industry continued to promote the state through public relations until 1937, when the department was granted an appropriation that enabled it to create a separate Division of State Advertising. During the late 1950s and early 1960s, the Division of Travel Information (previously named the Division of State Advertising) worked in cooperation with the Division of Commerce and Industry, conducting "Get acquainted with North Carolina" events for newcomers to the state, including those transferred by out-of-state firms to branch operations in North Carolina. The two divisions also worked on a project initiated during the 1960s, locating welcome centers at interstate highway exits near the state's borders. The Division of Commerce and Industry subsequently established a Travel and Tourism Section that continued into the next decade. The photographs in this series are quite diverse and range in subject from pictures of governors of North Carolina to shots of naval personnel during World War II. The first 118 boxes of photographs usually contain both prints and original negatives. They are arranged numerically with print and accompanying negative numbers corresponding. Photographs found in boxes 119 through 128 are arranged alphabetically by subject. No index or classification system other than an alphabetical arrangement by subject exists for these photographs. North Carolina. Dept. of Conservation and Development. The first 118 boxes of photographs in this series usually contain both prints and original negatives. They are arranged numerically with print and accompanying negative numbers corresponding. There is an index to these photographs, but it is kept by the photographer for Travel and Tourism Development. Travel and Tourism Development has refused to transfer the photograph index to the Archives. In order to provide access to the photographs arranged numerically, the index has been microfilmed and is readily available for reference service. It is microfilm reel number S.29.7, Department of Natural and Economic Resources, Travel Development, Photographic Index, 1937-1949, and can be obtained upon request in the Archives Search Room. Photographs found in boxes 119 through 128 are arranged alphabetically by subject. No index or classification system other than an alphabetical arrangement by subject exists for these photographs. In 1924 Governor Cameron Morrison had supported but failed to win legislative approval for a restructuring of the North Carolina Geological and Economic Survey, placing "the duty of a modern Department of Commerce" upon its board. Morrison's successor, Governor Angus W. McLean, also urged creation of an agency that would enlarge the old Geological and Economic Survey and use current data to advertise the state's advantages. At the same time, McLean envisioned an agency that would promote proper conservation of the state's natural resources. In response to these recommendations, the 1925 General Assembly replaced the survey with a Department of Conservation and Development. In an era in which agriculture was the primary occupation of North Carolinians, the creation of Conservation and Development represented a significant effort to expand the state's economic base. Under the supervision of a board composed of seven members, the department's statutory duties included the active promotion and development of the state's commerce and industry, as well as the protection of its resources. In 1927 the department established a Division of Commerce and Industry, headed by a statistician, to collect and tabulate information relevant to the state's resources and potential development and to make recommendations regarding industrial opportunities within the state. In 1930 the Division of Commerce and Industry merged with the Division of Public Relations, an office that had previously functioned within the Department of Conservation and Development as a quasi chamber of commerce for the state. The Division of Commerce and Industry continued to promote the state through public relations until 1937, when the department was granted an appropriation that enabled it to create a separate Division of State Advertising. During the late 1950s and early 1960s, the Division of Travel Information (previously named the Division of State Advertising) worked in cooperation with the Division of Commerce and Industry, conducting "Get acquainted with North Carolina" events for newcomers to the state, including those transferred by out-of-state firms to branch operations in North Carolina. The two divisions also worked on a project initiated during the 1960s, locating welcome centers at interstate highway exits near the state's borders. The Division of Commerce and Industry subsequently established a Travel and Tourism Section that continued into the next decade. Under the Executive Organization Act of 1971, the Department of Conservation and Development was placed under the newly formed Department of Natural and Economic Resources, headed by a cabinet-level secretary appointed by the governor. Although subject to the general oversight of the secretary, the old Department of Conservation and Development and its board retained their previous statutory powers. During the initial phase of reorganization there was little structural change in the Division of Commerce and Industry and its sections. However, the division was placed under an Office of Industrial, Tourist, and Community Resources, an administrative arm of the new department. During 1973 the Governor's Efficiency Study Commission recommended that the office be restructured to include only the Division of Commerce and Industry and a Division of Science and Technology. According to the commission, the Board of Science and Technology, which then currently administered the Science and Technology Research Center, should be altered to emphasize the commercial and industrial value of research and to aid the state's economic growth. Subsequently, the Department of Natural and Economic Resources was re-created and reorganized under the Executive Organization Act of 1973 and charged with promoting the state's economic development, along with various other duties. The functions and powers previously vested in the Department of Conservation and Development and its board were formally assigned to the new department, and the Department of Conservation and Development and its board ceased to exist. Under other provisions of the Executive Organization Act of 1973, the former Division of Commerce and Industry was replaced by a Division of Economic Development, and the Board of Science and Technology became a committee. The Division of Economic Development formed sections to include Science and Technology, Technical and Administrative Services, Food Industries Development, Industrial Development, International Development, and Travel and Development. In 1975 Governor James E. Holshouser, Jr., issued an executive order reorganizing the Department of Natural and Economic Resources, including the Division of Economic Development. That order also established within the department a North Carolina Science and Technology Research Center at the Research Triangle Park to provide the state with a variety of research and information services. In 1977 the General Assembly placed the Division of Economic Development under the authority of the Department of Commerce, an umbrella agency reconstituted under the 1973 act and given new responsibilities for promoting and coordinating the state's economic development efforts. Following reorganization, the Economic Development group, encompassing several divisions, became one of the department's major administrative components. Under supervision of an assistant secretary for economic development, the group consisted of the following divisions: Business Assistance; Industrial Development; International; and Travel and Tourism. Most of these divisions supported programs that had originated in the former Division of Commerce and Industry under the old Department of Conservation and Development. The Travel and Tourism Division continued its responsibility of promoting vacation and business travel and operating welcome centers on interstate highways. The division also worked directly with the North Carolina Park, Parkway, and Forest Development Commission. [Identification of item], 44.47, Dept. of Conservation and Development, Travel Information Division Photographs, State Archives of North Carolina, Raleigh, NC, USA. Transferred from the North Carolina Museum of History on July 14, 1977, and accessioned by the Archives on July 25, 1977. These photographs were originally scheduled for permanent retention by the Travel Information Division of the Department of Conservation and Development. 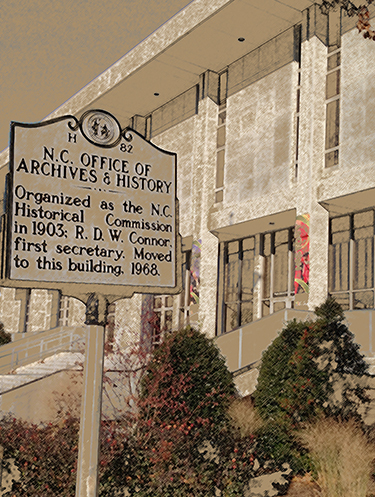 However, due to space limitations and lack of proper storage conditions, it was agreed that the photographs would be given to the North Carolina Museum of History. After several years storage in the Museum of History Photography Laboratory, the photographs were transferred to the Archives Branch on July 14, 1977, for arrangement, description, and permanent preservation. Includes photographic prints and negatives, either taken by the Travel Information Division and its Travel Development photographer or added to their collection. The photographs are primarily individual negatives and their prints, but there are also 286 rolls of 35mm negatives. Although the photographs span the years 1937 to 1973, the accompanying microfilmed index only covers the years 1937 to 1949. For the index, see the series: Photograph Index in MARS (microfilm reel number S.29.7). The photographs in this series are quite diverse. They range in subject from pictures of governors of North Carolina to shots of naval personnel during World War II. Of particular note are the exceptionally good photographs of wildlife and outdoor activities available in North Carolina. Since the transfer of these photographs to Archives custody, the Travel Information Division has become part of the North Carolina Department of Commerce and is currently operating as Travel and Tourism Development within that agency. Bobby Jr. - D. L.
Irma Jo - D. L.